Two men and a boy seated in a qasgi in the early 1900s. Qasgi-gguq una nunauguq ciuliamteni. Qasgiilkuneng nunanek apaamangaunateng. During our ancestors' time, they said that the qasgi was the foundation of a community. A place without a qasgi wasn't recognized as a community. Qasgi is generally translated "communal men's house." This log and sod structure was home to all the men and boys of the community where they ate, slept, worked, took fire baths, and entertained visitors. It was also the social and ceremonial center of village life and the place where village youth were prepared for their future lives. Qasgit (plural) continued to be used into the 1950s, but with the introduction of single family dwellings and formal education, they were no longer used as homes and schools. 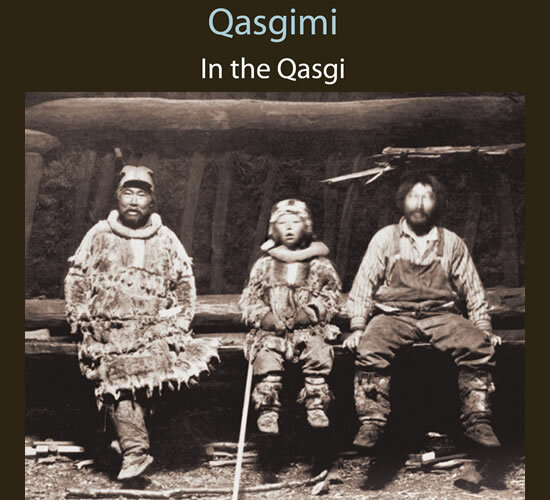 Contemporary elders are the last to grow to adulthood in qasgit, receiving oral instructions that they continue to view as the moral foundation of a properly lived life.